When a person becomes the victim of an accident that is caused by another party’s negligence, they may be suffering from significant burdens. Of course, the individual may want to consider their legal options and bring a personal injury claim against the negligent party. Before getting involved in a personal injury case, it is important to do some research on what requirements the claimant must fulfill. 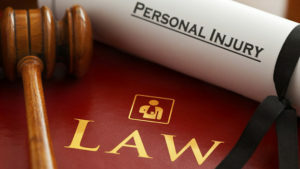 First, the individual who is bringing the personal injury claim has to establish that the negligent party who caused the accident actually owed a duty of care to the claimant. If the claimant trespassed on the property, for example, the defendant doesn’t owe them a duty of care and they won’t have a valid claim. In addition, the claimant has to prove that the negligent party was negligent. This can be done with photographs, witness testimony, cell phone records, surveillance footage, weather reports, testimony from accident reconstruction professionals, and more. If you have been the victim of another person’s negligence, contact our firm today.